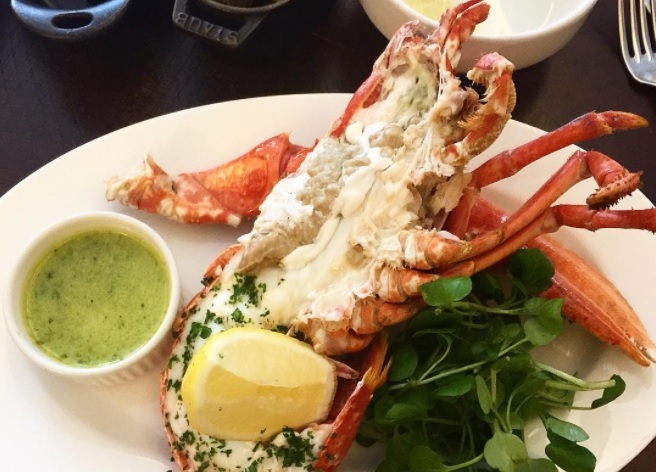 In the heart of the very posh Knightsbridge close to Harrod's, Hawksmoor is the most renowned steak house in London. A real HQ for food and drinks for the cast of Made in Chelsea. 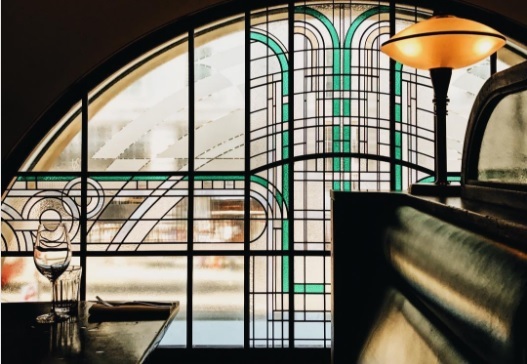 The leather seats, marble floors, and general Art-Deco style will make you go straight back into the refined atmosphere: here, no hustle and bustle bar pillars. You spent the early evening with class. On the menu: seafood from sustainable development farms, but especially sublime pieces of meat from livestock brought up in the rules of the art. We start fresh and light with the raw line bar with chilli and ginger (£ 9.95). Want to continue on the fish? The hake roast garlic and rosemary is a killer (£ 18). The specialty of the house? The large pieces of beef by weight, or the fillet at £ 35, soaked in Béarnaise sauces, marrow juice, or Stilton Dutch (3 £ each). As an accompaniment, the three fries and roasted mushrooms roasted meadows (4 £). Yum! Drinks are fun and refreshing, including Disco Drinks such as Fo 'Shizzle Ma Nizzle Swizzle (Gin Tanqueray Ten, grapefruit juice, Sherbet & Bitters with grapefruit sorbet, £ 15). Otherwise, one accompanies its juicy meat of a good balloon of red (£ 6,5 the glass of Petit Syrah). Proust's Madeleine desserts, such as chocolate cake filled with caramel, are too good. We love it: you can stop there after a shopping marathon. For an express lunch, it is two courses for £ 24, served from Monday to Saturday until 6pm, with 250g rib eye steak, seasonal starters and desserts. No wonder then that Pippa Middleton and Alexa Chung made it their favourite canteen, as well as MiC's key players. It is of course open from Monday to Saturday 12h-15h, dinner Monday-Saturday 17h-22h30, Sunday from 12h to 19h30. If you are just interested in taking a drink, the bar is open Monday-Thursday 12 pm-11.30pm, Friday-Saturday 12 pm-12.30am, Sunday 12 pm-11.30pm.